Waterloo – On any given shift, police officers might be called to the scene of a car crash, an overdose, even a murder. One result is that 40 per cent of Canadian public safety personnel have experienced post-traumatic stress injuries (PTSI). This statistic resonates deeply with Eliana Barrios Suarez, associate professor of social work at Wilfrid Laurier University and the leader of a new study that aims to reduce the risks of PTSI in police forces. The Canadian Institutes of Health Research (CIHR) announced funding for Suarez’s research on Feb. 8, along with 21 other one-year projects across the country, all aimed at understanding, identifying, mitigating or preventing PTSI and other negative mental health outcomes among public safety personnel. “There has been previous research examining post-traumatic stress symptoms such as depression, anxiety and substance use, but what makes our project different is that we will focus on resilience – how some people remain functioning well despite exposure to similar stress,” said Suarez. The project, which will begin in March, will also examine how police officers prefer to receive mental health information and resources. The first major phase of research will be an online survey open to every police officer in Ontario. Following the survey, researchers will engage in in-depth interviews with participants from across the province. Working closely with Suarez will be co-principal investigator Ginette Lafrenière and collaborator Abdelfettah Elkchirid, both also with Laurier’s Faculty of Social Work, as well as co-investigator Jose Arocha of the University of Waterloo and collaborators Sandra Hoy of Laurentian University and Frank Sirotich of the Canadian Mental Health Association (Toronto). The researchers are currently forming an advisory committee, which will include members of police forces in representative regions across the province. Leaders of the Waterloo Region and Brantford police services have already committed to participating. An important component of the project will be connecting with police officers and members of the public through community forums and a touring photo exhibit. The researchers will share their findings and recommendations with police forces and mental health service providers across Canada. In total, CIHR is investing $2.95 million in the 22 funded one-year projects through its PTSI Catalyst Grant competition, each of which received up to $150,000. 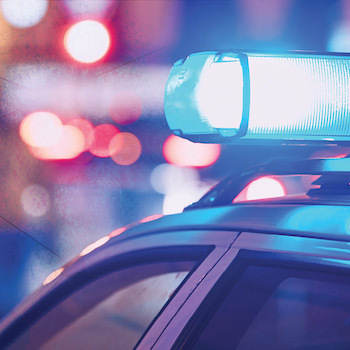 It is also planning to spend a further $8.4 million to fund four-year research projects addressing PTSI among public safety personnel in Canada. Those grants are expected to be announced in 2020.